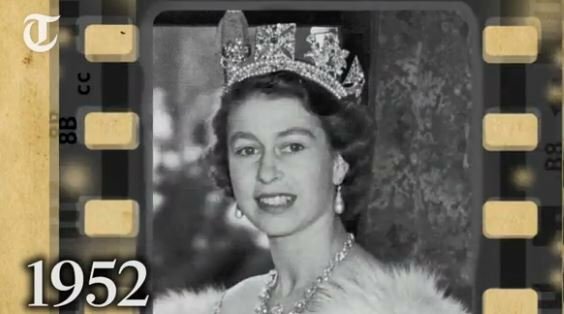 Watch this mesmerising montage showing how Queen Elizabeth II has aged during her 63 years on the throne. Queen Elizabeth II is now Britain's longest reigning monarch, having served for 63 years and 217 days. East Coast Drive stumbled across a video montage of photos taken each year during her reign. The montage starts way back in 1952 and it's pretty mesmerising to watch. One thing we noticed was that her smile has never changed. It's also a reminder of our mortality and the fact that everyone ages, no matter who you are. Have you ever looked back at photos of yourself in chronological sequence to see how you've aged over the years?